of the most widely performed laser procedures to correct short-sight, long-sight and astigmatism. LASIK (laser assisted in-situ keratomileusis) is a refractive surgical procedure that results in rapid recovery of vision and has the capability to benefit patients with myopia (short-sight), hyperopia (long-sight), and astigmatism by reducing dependence on spectacles and contact lenses. The ‘F’ stands for Femtosecond meaning that a laser is used to create the thin flap in the cornea. Recovery time is relatively rapid with most patients achieving driving standard vision or better the day after surgery and there is minimal downtime. A map of the shape of your cornea will be taken using a topography scanner. You will be asked to keep your contact lenses out for 10 – 14 days prior to your consultation (if soft contact lens wearer) or longer for hard / gas permeable lenses as they can warp the shape of the cornea supplying inaccurate measurements. If this occurs, you will be asked to extend the length of time the contact lenses are out and return for more scans and testing on another date. Approximately 80% of patients that fit the initial criteria for F-LASIK are suitable to proceed with treatment. For the other 20% of patients, they may be recommended ASA (advanced surface ablation) aka PRK or ICL (implantable contact lenses). Both are fantastic alternatives to F-LASIK correcting your refractive error and leaving you spectacle independent. A small amount of that 20% are not suitable for anything at all. At the beginning of the F-LASIK procedure, Dr Furness will use a local anaesthetic eye drop to fully numb the eye(s) and a small clip is used to hold the eyelid open during the procedure. While it is in place, you cannot feel it and you can blink as normal. 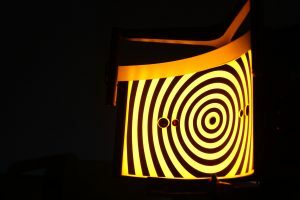 It will feel exactly as if you are blinking, even though the eye does not close. There is no need to try to keep your eyes open. Dr Furness will then use our VisuMax Femtosecond laser to create a thin surface flap on the cornea to expose the underlying tissue (stromal bed). A hinge is left attached to allow the corneal flap to be replaced in the correct position. Once the flap has been gently lifted, it is within these deeper layers of the cornea that the doctor then applies the Wavelight Excimer laser beam to remove microscopic amounts of tissue to reshape the cornea, thus; correcting the refractive error. 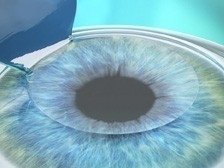 The corneal flap is replaced and does not require any sutures as the flap adheres by itself within a couple of minutes. Vision recovers rapidly with immediate results that will improve over the coming weeks. Almost all F-LASIK patients have reached driving standard vision or better by their day 1 follow up appointment. All the information that you require about your surgery day will have been provided at your consultation. Laser eye surgery is performed with Dr Furness at Perth Eye Hospital on Friday afternoons. 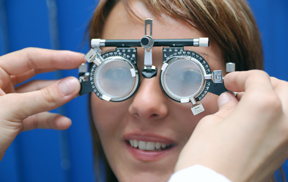 Perth Eye Hospital is a private hospital based in West Perth. The hospital is fully accredited, complying with the National Safety and Quality Health Standards and is a Member of Day Hospitals Australia. Perth Eye Hospital’s exemplary quality-consistency has been confirmed by its prestigious ISO9001 Certification from International Standards Certifications. You will be at the hospital for approximately 3 hours on the day of your procedure. The laser operating suite is precisely controlled for both temperature and humidity so light comfortable clothes are all that will be needed. It is better to have only a light snack and drink well prior to the operation as anxiety and a full stomach can make you uncomfortable when lying flat. We ask that you do not wear any perfume / aftershave or alcohol based deodorants and women are asked to not wear any make-up ensuring the eye area is thoroughly cleansed. You will be greeted by by the staff at Perth Eye Hospital upon arrival and begin the admission process prior to being taken to the laser suite for your procedure. The admission process consists of confirming information and going through your post-operative eye drop regime. This is very important as the eye drops fend off the risk of infection, combat dry eye and settle any inflammation caused which is to be expected following F-LASIK. Once your F-LASIK procedure is complete, you will be brought to the comfortable recovery area to rest for a brief period. You will be given some light refreshments and an opportunity to relax. Before you are given the all clear to head home, Dr Furness will see you once more to have a final look at your eye(s) and an opportunity to ask any questions that may have arisen. This is rare as we ensure our patients are fully equipped with knowledge about their procedure, aftercare, do’s and don’ts and general expectations prior to the day of surgery. Once you are discharged, you should travel straight home. We recommend a friend or family member be available for the first night following surgery for extra assistance with eye drops and support. Although you have likely reached driving standards within a a few hours, it is not advisable to drive until Dr Furness has cleared you at your day 1 post-operative appointment. To put your mind at ease, you are given Dr Furness’ mobile number for out of office hours for any queries or concerns you may have. You should avoid rubbing your eyes following your procedure. So that you can avoid rubbing your eyes in your sleep, the hospital will provide you with clear plastic eye shields to wear for the first 5 nights after your procedure whilst the flap heals and secures itself back in place. Avoid getting any water in the eyes for the first couple of weeks after your laser eye treatment. It is common for people to squeeze their eyes closed after surgery when eyes are itchy or when bathing. Please avoid squeezing the eyes closed. Itchy eyes are caused by dryness which is the most common side effect following laser eye surgery and a lubricating eye drop can be used to improve comfort. We ask that women do not wear any eye make-up for the first 7 days following F-LASIK. Contact sports should be avoided for up to 4 weeks following your procedure and it is a good idea to disclose to Dr Furness at your consultation what sort of sports and hobbies you take part in so that we can advise you accordingly about your aftercare. It is also recommended you do not swim for 2 weeks. It is a common misconception that it doesn’t matter who the surgeon is as it’s the laser that does all the work. In actual fact, the lasers are responsible for approximately 10% of your visual outcome. It is important to have a surgeon with experience, a wide knowledge base and proven great outcomes. Dr Furness is a cataract, refractive and corneal specialist and has performed thousands of successful procedures since qualifying in 1988. 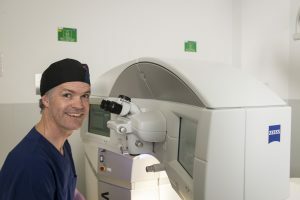 Dr Furness is the founder and chief surgeon of Insight Eye Clinic which was established in 1999 and its sister clinic, Laser Sight which is based in Subiaco.